Dog training Singapore, On 6th Oct 2013 the class finally start. As for comprehensive obedience it need 6pax to start, Michelle came to see us earlier due to Zac's problems like jumping, stubborn, socializing with human and dogs and he like to grab at other dog with socializing or grab at owners. She was very patients to wait for the new class to start as she understand to have a quality syllabus and training she need to wait, unlike most (99%) of the dog basic obedience training in Singapore are basically teaching the basic commands and competition footwork exercise. Most dog trainer Singapore, will will promise and commit whatever you want to win a customer but whether, what you want is being taught or cover in a proper manner or exercises that will be another story! In DR-DOGS.COM we don't commit thing that you are not paid for or give empty promise. Next we don't work with pet shops or vet to gives commission for your training fee, so that your fee that you paid is value for money. Like I told my customer if we work with pet shop we won't be teaching Basic grooming in the comprehensive obedience and if we work with vet we won't teach you Medical and Health. All dogs that attend this course has benefit the most but is sad to said during these few years many and many of dog trainers just give empty promise and spoil the market! Worst is these people are "not medical people or professional" that give advice on medication unlike our training school our qualify and certify staff nurse will help, monitor and advise in these problem! 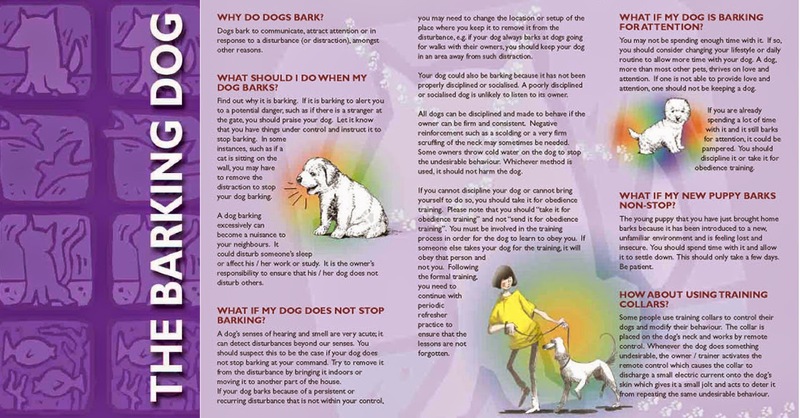 On 15/10/2013 a guy (HP xxxx 8884) call for enquire on anti bark whether it will be able to stop the dog from barking with less effort and effective. I ask the reason why the dogs bark, he mention it likes to bark at passerby/ dogs and charge. The dog is a Shetland and is only 7month. When he came to pickup the bark collar, I told him that this problem can be solve by training as it is only 7 month old, why he choose to use the anti bark collar? As what he claim the dog has already gone thru 8 days Puppy training and presently he is still under going a "life skill obedience", which in total he paid more then $1000 for the 2 courses and he do no wish to train his dog again. I try to understand more from him, he told me the trainer told him to use treats to divert the barking problem! It still don't work! My blessing to him is good luck and hope he and his dog will benefit from what he paid for! The above reminds me of another case, on 22/12/2012 which the owner Kim (HP xxxx 7361) owner of a JRT has bought an anti bark collar for her 5 years old dog. On purchasing the bark collar as usual the owner knew I'm a dog trainer and being skeptical on my professionalism, she started to ask me about some of the dog's behaviors problem and how I train the dogs. After explaining to her and by gain her trust she review that her dog was trained before during puppy! She do not trust any dogs trainer after the bad experience! The trainer slap her puppy JRT during the training and claim that it is the usual method of training but I told her couldn't be, this guy was interview lately by newspaper that he is a dog behaviorist in Singapore like Cesar Millan in National Geographic! The dog trainer is the same guy that train a puppy retriever from my web under http://www.dr-dogs.com/hometraining/ No definite answer and follow up on the training but only know how to sell anti bark collar! Is No Surprise that this trainer work together with pet shop(chain shop) and what do shop do? selling! What we did like swim this guy follows but till the end he charge the customers for this service, now he is not training the dogs by himself, to make thing worst every month there is a new class going on! God bless the dog's owner good luck to you, if you found these kind of trainer(S)! On 04/11/2013 (HP xxxx 3205) wife call on anti bark collar for her 4month old husky! Told the wife that the collar will only work for excessive barking NOT for howling and whine! I understand the puppy need to go thru a proper puppy training as these owner are new to keep puppy but to save cost they choose to buy dog anti bark collar! I still gave them some tips but not all as they are purchasing a product and my responsibility is to gave them a product training on how to use it safely on their dog/ pup. howling and whine but only for excessive barking! Some people are taking advantage! Anti bark collar that helps many dog's owner solving their problems from complaints. Some already received warning/ complaints from lawyer, HDB, building management, neighbours... on their dog barking excessively non stop or dog bark and charge at passer by or other dog! How the device works? It has 2 in 1 function beep correction or zap correction. Unlike in the market anti bark collar only comes with one function beep or vibrate or spray or zap and is only available off the shelve where owner will purchase and use at their own risk without any product knowledge or training! With product training nothing goes wrong unless is human error! The step by step training on how to apply to your dog and the function of the device by a professional dog trainer, is to correct the dog's behaviors and gradually remove by not to rely on the collar anymore. Why some owner think it is inhumane to use anti bark collar on dogs? - They hear to many thing in the forum and from friend but are these information real or whether these people are getting the right product and apply correctly on their dogs or these message is pass down by others? - For some people saying is easy, some owners don't face the problem and stress you face like complaints. If problem are not solve! what is the last resource? de voice it or give up and re home your dog ? Is it more inhumane and can the problem being solve? can the person that said inhumane take over your dog and help you solve the problem? ** every product will have a risk without proper care and handling or understand on how to use. rob or kill a person" who to blame? - zap when dog barking release a small static current so that feel it and respond. ** CUSTOM anti bark collar battery is easy available in the market and is ranging from $3.50 to $8.00 where else for some is $20.00 or more. Which are the most effective result? For beep, vibrate & spray the dog will immune to it after a period of time and barking will still continue. Zap is the most effective but one important factor owner must know, how is the function of the device? Some Zap collar will keep on zapping the dog with increase voltage and event when there is a false detection from the bark or sound! With CUSTOM anti bark collar is SAFE the voltage is the same and lower when battery is weaker. It will not Zap the dog immediately unlike others it will warn them first. Owner will start with a step by step procedure that will be taught by us, after some questions being ask about the dog's behaviors, breed, age...etc . Some of the best result is by wearing the device without any beep or zap function ON, the dog stop barking! ** Buy a product without brand or training is like try an error at your DOG'S RISK! AVA call up again, to request my for renewing of my " AVA-accredited dog trainer license " ! I had spoken to the person about the loop hole on their new scheme for this issue, AVA required dog's owner of cat. "A" & "B" dog to undergo a proper training and achieved with a certificate in order have a license being issue to the owner. 1) Do you sell "German Shepherd Dog" that comes with an obedience cert. so that I don't need to go thru the full course and be able to have a license! 2) Do you sell cert. so that I could use it for applying for a dog license here in Singapore! 3) Can I leave my dog with you to train, so that I do not need to under go the training and later you provide me the cert. for me to apply for the license! 4) Can I pay you the full course and only go thru 1 to 2 lessons to have the obedience cert.? The above was feedback to the officer, what is the objective for this new law? Is a good sign for the Authority to have new law to control responsibility dog's owner but ??? These following questions was brought on the first call from the AVA officer, he told me he is going to bring up to the higher officer but today I ask about my feedback did them look into it. Silent is the answer? 1) How AVA issue the license? Base on the Obedience cert issue by the AVA-accredited dog trainer and owner have to fill up the training Q&A form from AVA. 2) Did AVA go to the owner home to check whether the dog had really under go the training? NO, if neccessay then they will go and check. 3) What if the dog is not train and the cert is easy bought by the owner. How can AVA know about it? The owner had answer the training Q&A form from AVA and all answer is positive (so is already trained and meet the requirement)! license from AVA. Will you answer all the training Q&A form from AVA in positive or negative? ** the above is what I knew from the tell conversation. Before the above law was implement, I'm fully disagree that AVA invite those who/whom are in the trade to work out a guide line for these rules! Why? Ask yourself will you suggest a law to tie yourself down or a law that indirect benefits you? The AVA can have a law as what I think is fare to everyone include the public! All dogs small, medium or big must have insurance against accidents happen, like bite human or dog bit dog! Cat A & B dog must have grantor of $100K. ** as a owner dog they have a better understanding about their dog's temperament! - If any the dog have behaviors problem the owner will be alert and automatically sending their dog to under go a obedience training other wise they have to pay a very high premium for their renew insurance! - If they don't renew their insurance to protect the public and others, AVA should give them a heavy penalty(fine) to these dog owners and for them they have to be responsible with whatever claims from the victim with doubt the amount! That make them be more responsible and care in handling their own dog! In today market event university can be easily bought! We are 100% dog training school, we are not a breeder and we don't work with any pet shops or breeders to sell cert.! Yoshi was a re home dog with behaviors problems. This Japanese spitz was train during puppy by a dog behaviorist from an animal shelter house that don't believes in correction and scolding the dog. Since this dog had gone thru puppy training by this specialist , the new owner had given a chance to attend the lesson. Owner was told to divert it's attend by using treats or try to ignore it! Owner was very doubtful with it and think if my dog bite on others who will be responsible? Dogs trainer, dogs behaviorist or the dog's owner? Dogs and Puppies rehome for adoption! Dogs and Puppies re home for adoption! Just received a call from my student from oversea that ask for a favor! Very annoying with this incident. She said the person that help her to re home the 3 dogs had told her to cancel her license from AVA herself and she aks me for a favor to help! Very ridiculous money this girl know how to make but documentation she don't do! Reason for this owner to give up her dogs is her husband is station in oversea for 2 years and the apartment there don't allow dogs! In Singapore she don't mind paying for the rented apartment but her child is going oversea next month for study and her maid don't not want to stay alone here only to look after the 3 dogs and it will be very lonely for her. So have no choice but to give her love dogs to others to adopt. She may have to pay the service for re homing her dogs to a good home and for those who is specially doing re home may have collect some documentation/service charge. As nothing is free in this world! If my student is going to cancel her dogs license, AVA will ask why? Your dogs is stolen , loss, died or re home any document prove? For transfer of dog's ownership my students have to provide the details of the new owner! Dogs training school in Singapore! DOGS Training in Singapore came in various methods and ways. It depends on the individual. What kind of achievement and environment they want to train their dogs. In DR~DOGS.COM, we conduct our dog training classes in a Relax and Fun manner to suit our daily life (City Lifestyle). Beside that our training fees are very reasonable and all dogs are well taken care of during the training. Our principal is to commit in what we can deliver but not over commit to lure you in and disappoint you later! We understand dogs are living things, regardless of whether they belong to the same or different breeds. Each and every of them have their individual characters and unique personality. At time they also behave differently on a certain day(s), depending on their mood. In order to achieve the best result in “Obedience Training”, we will help to advise and teach the individual handler how to UNDERSTAND and apply CORRECT METHOD(s) to train their dog. Our Research and Integrated dog training programs teaches you how to UNDERSTAND your puppy/ dog’s behavior, so that you would be able to control or modify their bad habit and also help your dog fit into the environment you are in. Some puppy from the age of 2-3 months can already shows their character, it is best to train earlier rather then correction later! UNDERSTANDING, COMMUNICATION, THOUGHTFULNESS & PATIENCE plays a very important part, because you are the one that handle your dog and he/she is going to be your life time companion. First of all ask yourself the following questions, before you send your dog for training:- 1) Are you a real “ DOG LOVER ” ? 2) What type of training you intend to give to your dog? 3) What do you expect from your dog ? 4) Does your dog understand what you want and is it a high trainability dog? 5) Are you using the correct method to train your dog? 6) Are you pushing your dog too hard during your training? 7) What do your prefer Obedience or Behavioral training? 8) What is more important is to you Price, Training Syllabus, Follow up or Convenience? instructor just talking Or trainer immediately using forceful training tools on your pup/dog! If you are a first time dog’s owner and is confused about where to send your Pup/ Dog for training read “About Training” , Dogs Training...& “Media Interview” about Dogs training in the market.